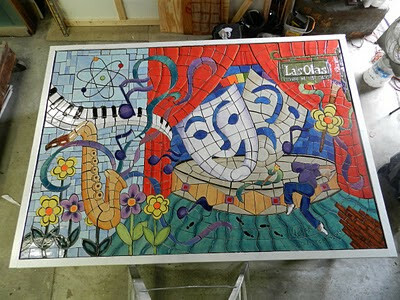 Kevin Kichar and I are finally finishing the Performing Arts Mosaic. We spent most of the day grouting and cleaning the mural. It is finished and ready to be installed on the bridge. 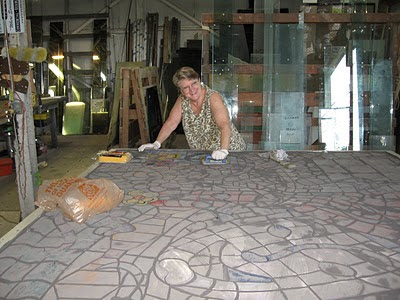 This is Diane grouting the mural. 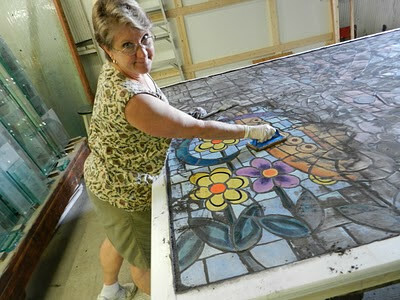 Diane cleaning the mural. Not an easy task but the outcome is spectacular!